why study social data science? 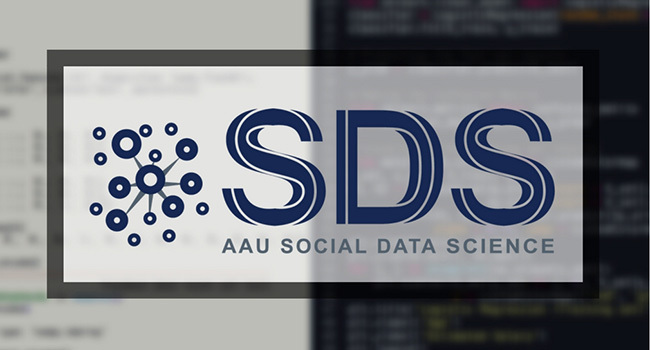 Starting fall semester 2018, the Department of Business and Management at Aalborg University offers a new option for the 3rd semester of their master's programmes, the Social Data Science specialization semester (SDS). Immerse yourself into the increasingly relevant and fast-emerging sector of data analytics, starting September 2018. Through this programme, you will learn cutting-edge, requisite skills in, practical terms, and be able to apply them to real-world issues in various fields. Data continues to grow exponentially. From Social media posts, sensor signals on smartphones, smart home devices to the increasing digitisation of companies and public organisations, data has seen unprecedented granularity. This module is a condensed introduction to the “Data Science Pipeline”, taking students from data acquisition over pre-processing and modelling to evaluation and presentation. This module will focus on unstructured network data. Students will learn how to explore and analyse natural language (text) as well as relational (network) data of various kinds. This module focuses on the most recent developments in machine learning, which are deep learning and artificial intelligence (AI) applications, to analytics and particularly useful in Big Data settings. The module will provide a solid foundation to this exciting and rapidly developing field, and enable the students to on-demand update and acquire new knowledge. This modlue is a 15 ECTS project to be completed in collaboration with an external partner (optimally). External organisations can not only provide real-life datasets but also motivate students through real problems, and help to adjust the curriculum to make contents most relevant in terms of employability. The teaching staff will assist students with significant guidance and coordination to identify potential, mutually benefiting areas of project-collaboration with external partners.